I promised the staff I would not go all Masterpiece Theater with this intro, so I’ll be brief. 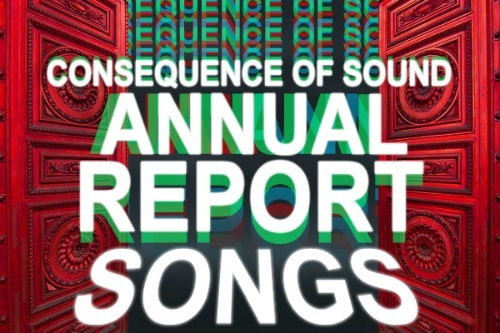 Our Annual Report has reached its halfway point with our Top 50 Songs of the Year. The many flags of our staff are hoisted high — and we couldn’t be happier with what we’re saluting. From Cults’ very first song to Tom Waits’ thousandth song, we put up the tracks that left us with more thoughts, feelings, and impressions than any other. We think we done good. But just to make sure the world still spins on its axis, let us know what you think we missed from our list and what you liked in the comments. We thrive on that stuff. Additionally, we’ve got the de rigueur Top 50 Songs of the Year Spotify playlist for you, a quick link to purchase the song on Amazon, and an easy ctrl-c +ctrl-v list for you at the very end immediately following our #1 song of the year. As always, our profuse thanks for reading, enjoy these tunes, and we’ll see you again next week for the second half of our 2011 Annual Report.